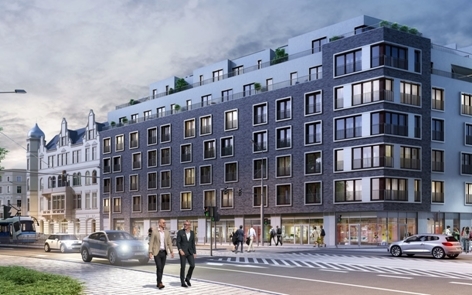 The investment called Centerville – The Heart of the City is located in the center of Wrocław at Drobnera street. The nearby footbridge enables communication with Wyspa Słodowa and further with Ostrów Tumski. A seven-storey building with an open patio will associate classic elements of a modern facade with the traditional facades of the buildings of this historical part of the city. The building will house 69 apartments from 31m² to 140m², 10 commercial spaces and an underground garage. On the top floor there will be 8 luxury, two-level apartments with double terraces. 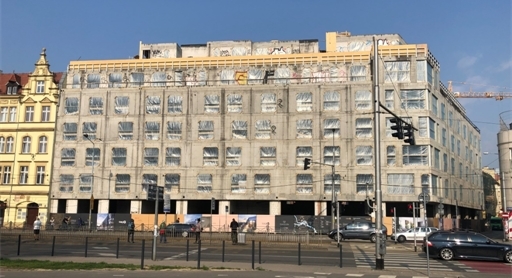 The construction site location in the very center of Wrocław is an additional challenge for the effective project implementation.